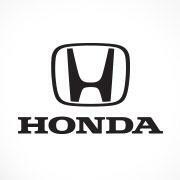 Contest: Enter for your chance to WIN a New Set of Tires for your Honda Vehicle! Enter for your chance to WIN a New Set of Tires for your Honda Vehicle! Prize: 8 prizes to be won (two Prizes per Entry Period) each consisting of: one set of 4 winter tires and installation (including labour, valve stems, mounting/balancing and environmental fees)Winter tires must be installed on a Honda-brand vehicle. Statistics: This contest was opened by 99 and entered by 5 ContestChest.com members. 5% of those who opened the contest, entered it.